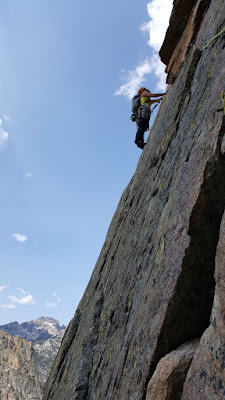 On the drive out west we spent a couple of days in South Dakota doing some sport climbing to break up the drive. We popped into a gear store, as we often do, to see what guidebooks they had and stumbled on Idaho: A Climbing Guide. 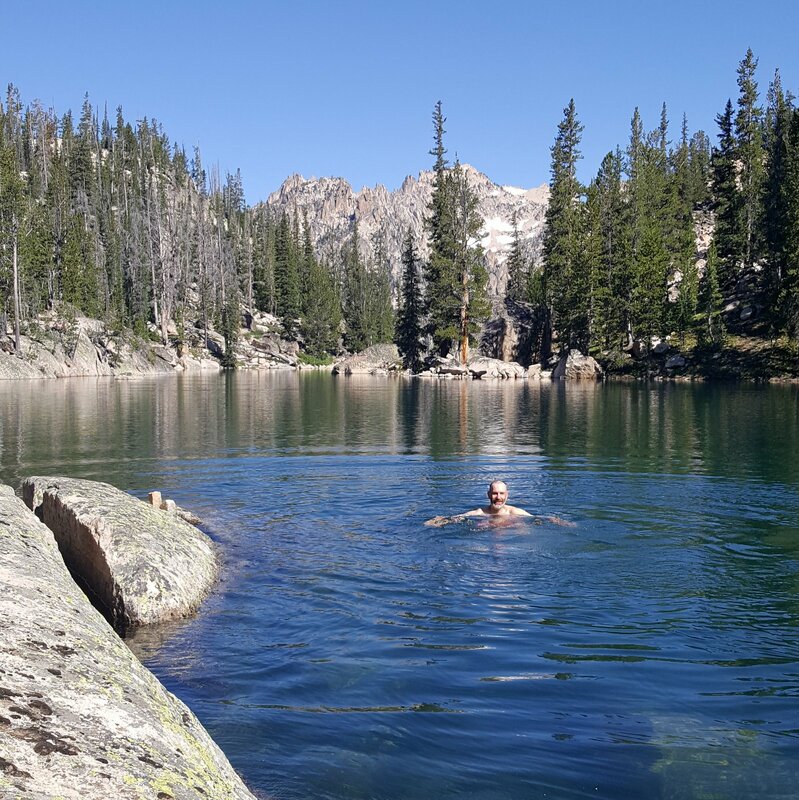 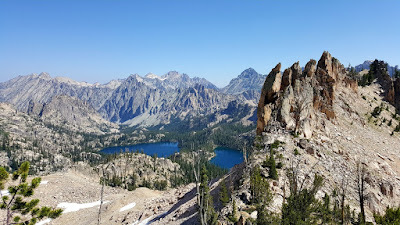 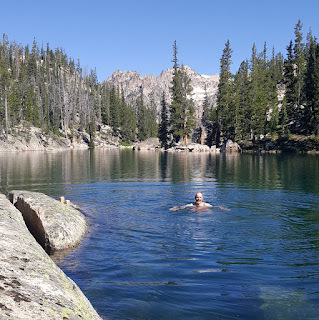 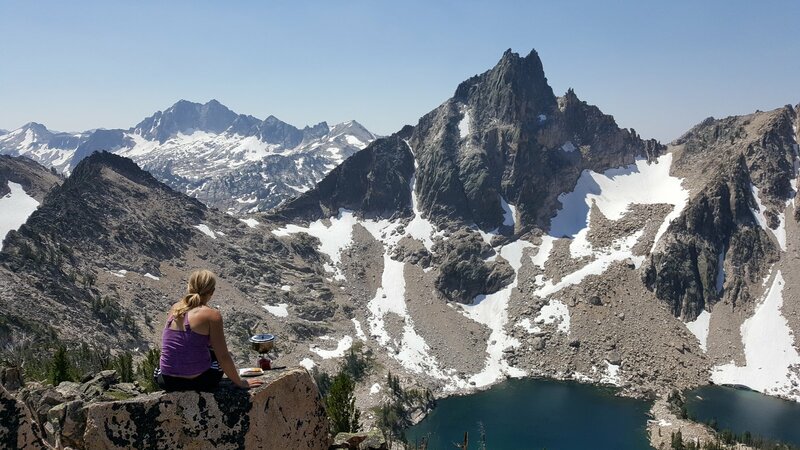 It didn't take long for Kristal to decide we had to go check out the Sawtooth Range, and a month later we spent 6 days backpacking, scrambling and climbing in the area. It's a beautiful range of mountains in central Idaho chock full of amazing peaks and alpine lakes. 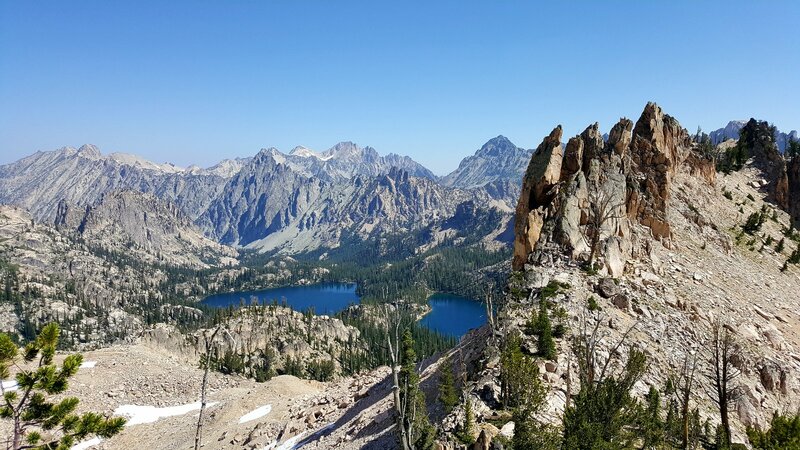 We spent 2 nights camping beside the Saddleback Lakes and climbed 'Idaho's most famous rock climb', the Mountaneer's route up Elephant Perch. 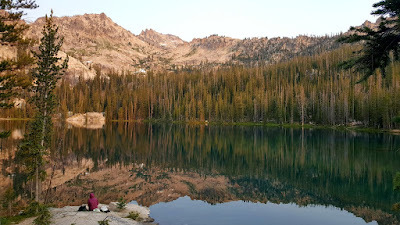 We then moved camp up to Alpine Lake, where we spent a few more nights. 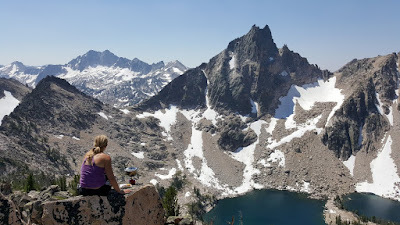 We spent a day scrambling along an awesome ridge, even bringing the stove to cook up some Mr. Noodles for lunch. 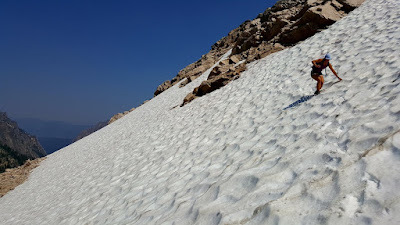 And enjoying some more great descending on steep snow slopes. 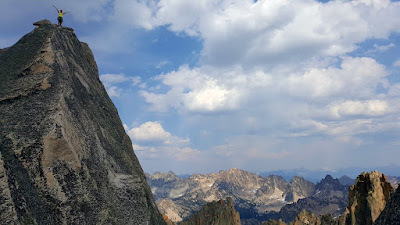 We saved the best for last, climbing Warbonnet Peak before heading out. Here is Kristal on the summit. 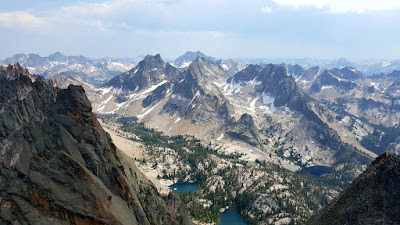 And some more great views from the top. It's a beautiful area, and was well worth the effort of hauling all our stuff in, though my knees might disagree.